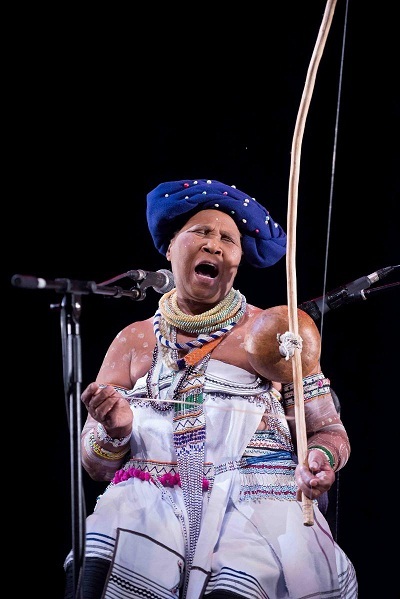 The 2nd International Bow Music Conference is being held in conjunction with the 12th South African Society for Research in Music (SASRIM) Conference at the University of KwaZulu-Natal from August 29 to September 1. As with the inaugural conference of February 2016, the present gathering has attracted a wide-ranging interest of local and international music researchers, bow music enthusiasts and players alike. Of special interest is that a keynote address will be given by Gerhard Kubik, Austrian cultural anthropologist and music ethnologist, titled Musical Bows and the Spirit of Human Discovery which will be read by Prof Andrew Tracey, celebrated South African, ethnomusicologist, Emeritus Professor of African Music and composer. One of the conference highlights is a day-long programme, on September 1 at Durban’s BAT Centre, which includes free bow music workshops and hands-on demonstrations, a musical bow instrument mini-market, an Afro-Brazilian Percussion Workshop and a demo/talk performance by Colin Offord, the Australian mouthbow inventor and performer. The workshops begin at 10h00 and run until 15h00. No booking is needed. The afternoon will culminate in Conference Closing Concert from 15h00 featuring an array of top local and international musical bow performers, among them Madosini (Cape) - umrhubhe, uhadi, sitolotolo; Bavikile Ngema (KwaZulu-Natal) - makhweyana, mbheleza/mqangala; Prof Greg Beyer and Arcomusical Brazil (USA and Brazil) - berimbau chamber ensemble; Rafael Mathusi & Maneto Tefula (Moçambique) - xizambi, xipendani, xitende, kankubwe; Cathrina Make Magagula (Swaziland) – makhweyane; Mpho Molikeng (Lesotho) – lesiba, sekhankule; Cara Stacey & Jason Finkelman (SA and USA) – umakhweyana, umrhubhe, berimbau and electronics, and Mtumbateka Mamatsharanga (Northern Province) – dende. Tickets for the closing concert are R60 (R30 students) available at the door.